Why hasn't the politics of immigration in Australia gone feral? 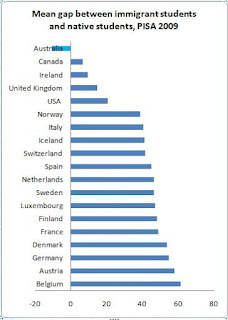 As one contemplates the rise in anti-immigration parties in Europe, and the fraught politics of immigration in the US, it is very striking how little political angst Australia's very high level of immigration has caused. True, the nationalist One Nation Party recently scored 4 Senators in the 2016 Federal Election, but that was on 4.3% of the national vote. With the collapse of socialism as a serious alternative to capitalism, and the consequent convergence in the economic policies of the (centre-left) ALP and the (centre-right) LNP Coalition (part of a wider pattern across Western democracies), there has been a floating "not them" vote in Australian politics which has latched on to various vehicles over the years: this is just another iteration. The ALP and Coalition still scored almost two-thirds of the Senate vote, and over three-quarters of the House of Representatives vote: that the result was so close said much more about the Coalition campaign and incumbent PM Malcolm Turnbull's Premiership than something deeper. 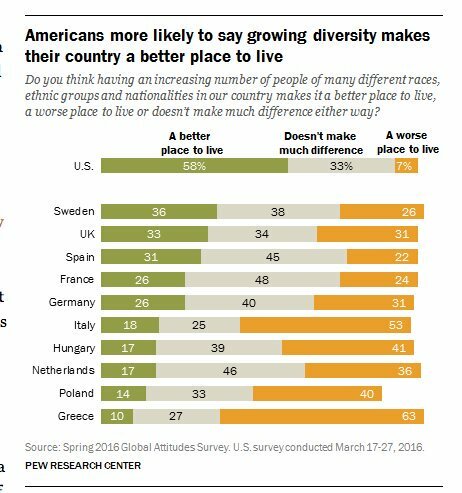 So, the question is why does Australia's high immigration levels (much higher than the US, for example) cause remarkably little political angst? The why can be understood by focusing on three individuals. 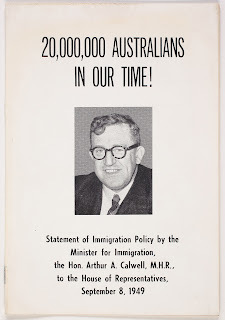 The first is Arthur Calwell (1896-1973) Immigration minister from 1945-49 in the postwar Chifley Labor Government. 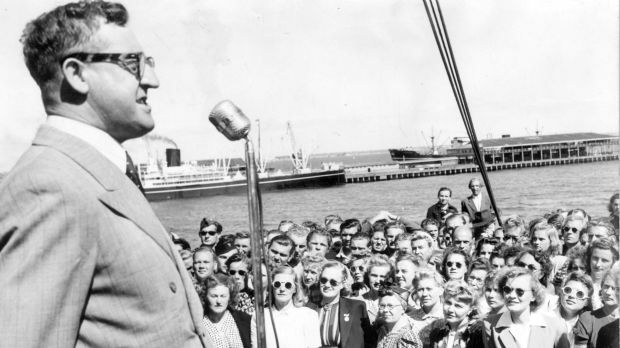 A good Labor man, Calwell was a staunch advocate of the White Australia policy (famously saying, over a wrongful deportation case, that "two Wongs don't make a White"). 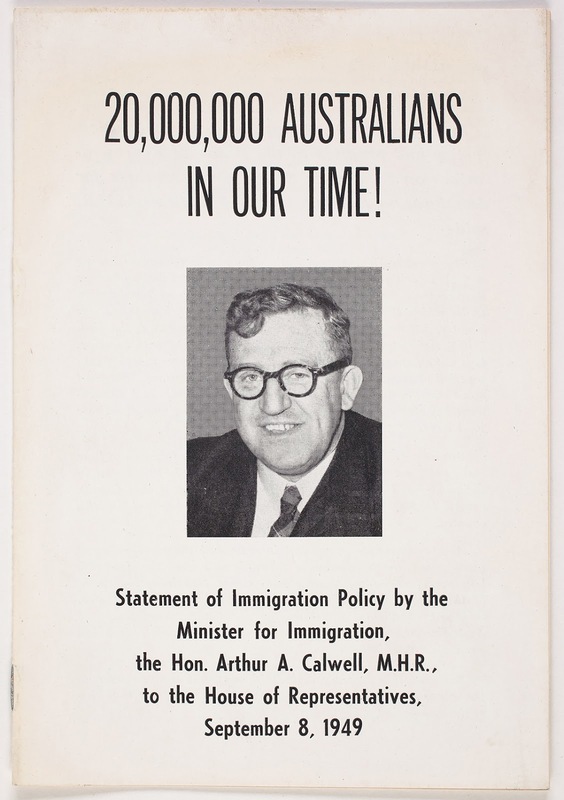 Calwell was the primary political architect of Australia's postwar immigration policy. The crucial element being that Australia had a serious and open debate among migration policy: it was not an ad hoc response to various pressures, but a considered (and publicly debated) national strategy. 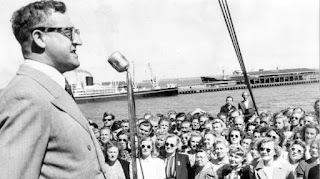 There were considerable adjustments along the way (notably the abandonment of White Australia) but, as the original political architect of Australia's postwar immigration policy, Calwell openly embraced the notion that Australia would deliberately look beyond the British Isles for migrants, famously coining the term New Australians. The Australian national identity was set up as something people not only could join, but were being deliberately recruited to join. Because it was a deliberate national strategy, over time, Australian pragmatism was applied to the operation of the strategy. Including sensible things such as interpreter services and seeking to have a broad range of migrants selected by criteria that suited Australia's national interests. Moreover, the key elements were debated in a period when views could be much more openly expressed on such matters. One of the aspects poisoning the politics of immigration in contemporary countries is the willingness to point-and-shriek (racist! xenophobe!) 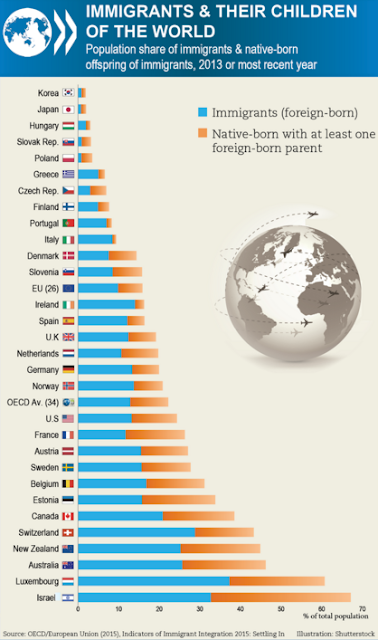 at anyone who expresses any negative concerns about immigration. It inhibits many people from expressing their concerns, drives the politics of concern over immigration towards those more willing to put up with the abuse (typically, the more ideologically passionate) and seriously inhibits responding intelligently to issues about patterns and operation of migration. It is not that Australia is entirely immune to this deeply pernicious trend, it is that much of the key issues regarding migration were thrashed out before the rise of the use of the rhetoric of denunciation (racist! xenophobe! Islamohpobe!, etc) to poison public debate. And such rhetoric, and the pointing-and-shrieking that goes with it, does poison public debate; not least because the point of said rhetoric is to block engaging with the concerns of those subject to the rhetoric of denunciation. (As, by definition, "racist" and "xenophobic" concerns are not morally legitimate.) Identifying such "moral untouchables" also identifies them as people not "fit" to take part in the national conversation, so not "fit" to have a say in public policy. which has resulted in Australia having avoided a recession (defined as two consecutive quarters of negative economic growth) since 1993. 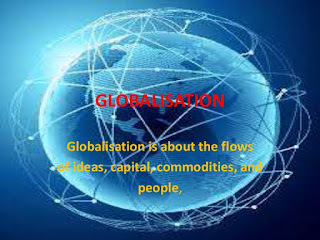 Having an economy which has produced steady economic growth without a major crisis makes it much easier to avoid immigration and migrants becoming a focus of resentment and concern. Yes, increased population means a larger economy. But what matters much for political effects are the per capita effects, particularly the distribution of benefits. The US, for example, has managed a pretty stable rate of overall per capita economic growth during both high and low migration periods. But it is not likely to be entirely a coincidence that is after the post-1965 broadening in the number and sources of migration that US economic growth became increasingly decoupled from wage growth. During the later C19th, the level of migration was so large, that the average height of US-born men fell, a strong indicator of negative effects on their standard of living from mass migration. Increasing diversity in a society also makes it harder to reach agreement over contentious issues,* hence it is important to have migration policy itself be well grounded in broad interests. 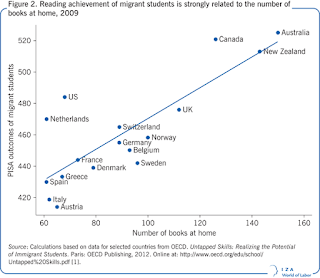 Particularly as there is good reason to think that the content of the migrant intake matters for a country's longer term prospects. It is, after all, deeply paradoxical to claim both that (1) migration has major effects on a country and (2) that any concern over those effects are somehow morally illegitimate. Pretending that all migrant inflows are wholly beneficial to everyone may make for good Virtue-signalling, but it pretty dumb as a public policy position. Just as it striking for people who tend to be obsessed with "bad ideas" to suggest that the cognitive baggage migrants bring with them doesn't matter. The third individual is John Howard, Australian PM from 1996-2007, whose government had to deal with the second wave of "boat people". Historically, Australia's migrant policy has, due to Australia's geography as an island-continent, not had to confront people coming other than by commercial travel (via ships, later also planes). While visa over-staying can be an issue, it is a not very public one and applies to people already specifically accepted for (at least temporary) entry. 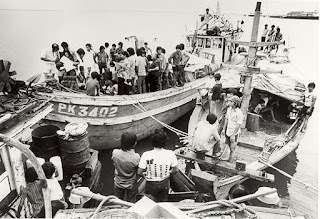 Faced with a series of boat arrivals, Australia pro-actively accepted refugees, seeking to discourage the flow of boats. Moreover, it was a local regional crisis (Vietnam is closer to Darwin than is Hobart), Australia's involvement in the Vietnam War generated some sense of obligation and Australia had previously accepted many refugees from Communist rule in Europe. Australia took in 185,700 Indochinese refugees, more than any other Western countries except Canada and the USA. The second significant wave was of boat people from the Middle East. This was not a local regional crisis (indeed, Middle Eastern boat people had to travel long distances to specifically target Australia), was generated by a region with endemic conflict and was (since Middle Eastern boat people were overwhelmingly Muslim) inevitably tainted by jihadi violence. Precisely because Australia is a high migration country, there are real dangers to social and political cohesion in migration becoming a fraught issue. But we will decide who comes to this country and the circumstances in which they come. Australia would remain a high migration country, but a high migration country as a deliberate national strategy. 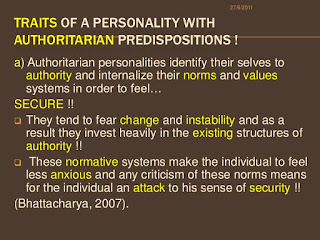 More specifically, confronted with a populist-nationalist challenge (such as the previous One Nation surge), the trick is not to steal the insurgent's policies, still less adopt their framings (that just suggest that they have things right); the trick is to steal their issues while incorporating them in your framings. In this case, easier to do as migration was already established as a national strategy. The key feature is to stop the politics of migration triggering authoritarian responses within the citizenry. The very diversity of Australia's migration policy is helpful in this, as it is less likely to develop problematic migrant "enclaves". Given the wide range of sources of migrants, so every migrant group is a relatively small minority, there is a much broader interest in "fitting in". Conversely, importing large "lumps" of particular migrants can be both more confronting to the existing residents and creates more possibility of developing oppositional cultures. Thus security forces in Canada, Australia and the US, where Muslims are still small minorities, are successful at breaking up local jihadi plots, because they get cooperation from within the Muslim communities. Security forces in Europe have less success, because the significantly larger Muslim communities provide more "cover" for jihadi networks. In considering the politics of migration in specific countries, how prone local political cultures are to triggering such authoritarian responses will vary, as will what the local triggers are. This complicates cross-national comparisons. 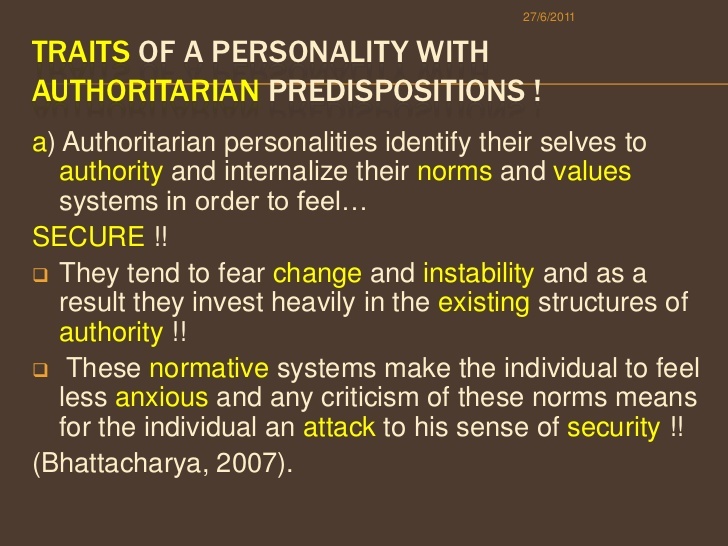 Generally, however, it is those pushing social change who are most likely to trigger such authoritarian responses, as their policies and rhetoric act to undermine existing social equilibria. Hence, for example, the behaviour of the local Left being so important in whether, and to what degree, authoritarian political responses were triggered in the interwar period. In our times, the penchant of the Virtuous for insisting upon great respect for other cultures, but contempt for Western ones, is very unhelpful. More specially, considering the places where migration policy has become fraught, it is clear they violate all the above-identified general principles. There is a lack of a sense for many citizens of having a say, there are identifiably large (and problematic) "lumps" of migrants and a lack of preservation of the labour/capital balance. 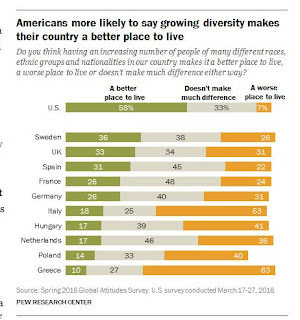 Conversely, Canada, which also has a large migration policy without its migration politics going feral, has a very similar approach to Australia. The Trudeau Government's approach to Syrian refugees--women and intact families only--is very much the policy of a country which thinks through migration policy, which takes it seriously. But a lot of folk don't care what works, they only care that they seem Virtuous. Worse, the politics of migration going feral suits them fine--it gives them so many more citizens to feel morally superior to and a greater sense of moral urgency for their favoured moral concerns. 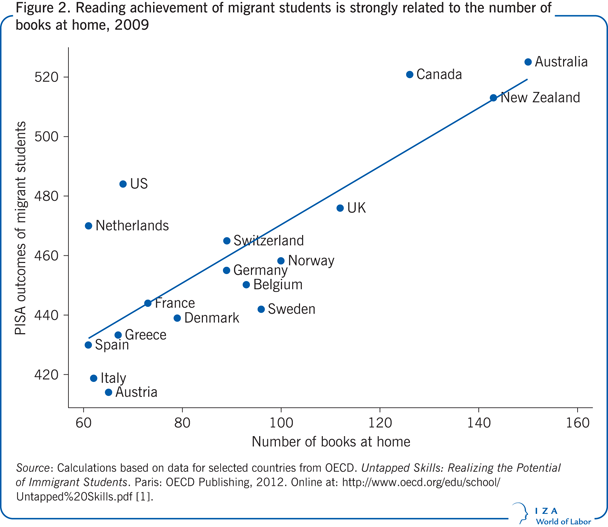 If any concern about the extent and content of migration intake is subject to point-and-shriek, then migration policy is likely to tend towards the stupid (as relevant factors will not be seriously considered) and migration politics to the feral: another "triumph" of Virtue over fact and function. * Demographer Peter Turchin's simple model includes a "cultural" factor, using the minimum wage as a proxy. The more diverse the society, the less "social solidarity" policies are likely to operate. 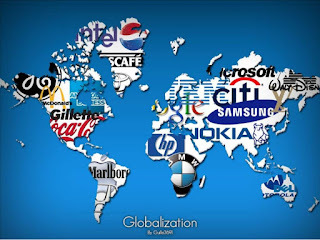 With mass trade (without which there is not globalisation worth the name), trade seriously impacts the income of general factors of production (land, labour, capital). 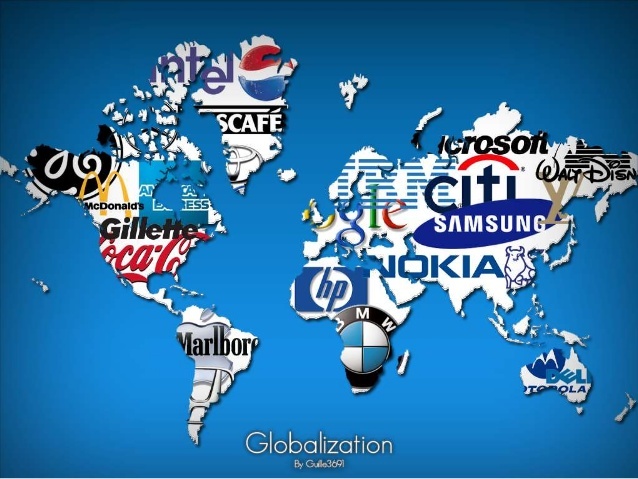 Outside the Atlantic economy, there is no globalisation worth the name until the 1820s (pdf) because the technology did not support the required level of mass trade. 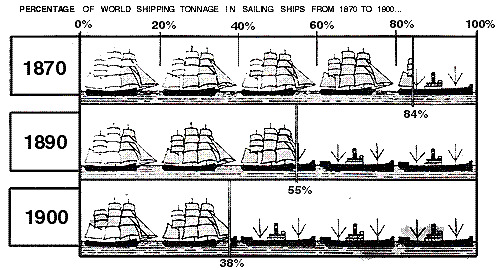 According to Angus Maddison's calculations (pdf), in 1800, merchandise exports were about 1% of world GDP: by 1913 they were 8%. One can tell that the Atlantic economy (particularly Britain) was on the cusp of mass trade as wheat prices converged (pdf)--wheat prices within the Atlantic economy (expressed in silver) narrowed from a range of 6.66:1 around 1400 to a range of 1.88:1 around 1750--and, in Britain particularly, free trade v protectionism starts becoming a political issue. Before that, the political economy of trade was about fighting over the rents from thin trade networks of high value items because trade was not "mass enough" to affect general factor incomes. Though such trade was disproportionately important for state revenues. Trade was overwhelming non-competing items, because transport costs were so high, it was very unlikely traded items could compete with local production. Globalisation continued to be driven by falling transport (mainly in air transport) and communication costs. * Which, along with other aspects of technology, began to have some unexpected effects on the patterns of mass trade. (Paul Krugman's Nobel memorial lecture is an excellent summary of that.) As factors of production became more internally differentiated, this tended to favour free trade interests by breaking up pro-protection coalitions.